Chris Hellewell battles for possession. 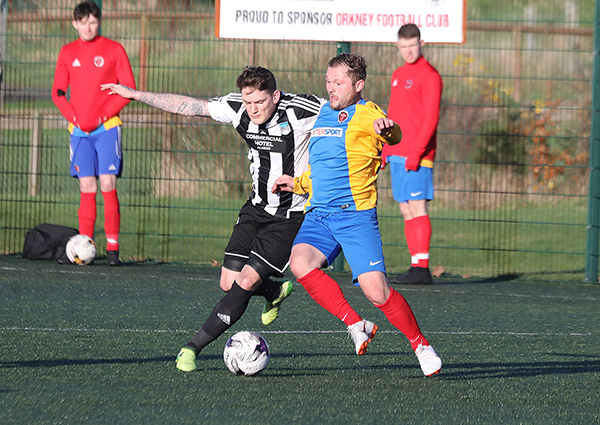 Orkney FC and Alness United shared four goals this afternoon in a 2-2 draw. The visitors twice went ahead in an entertaining affair, however Orkney fought back with goals coming from Owen Rendall and Aiden Drever. Full report in next week’s The Orcadian.